When the Wright Brothers achieved flight at Kitty Hawk many years ago, they probably never dreamed how far the world of aviation would rise. 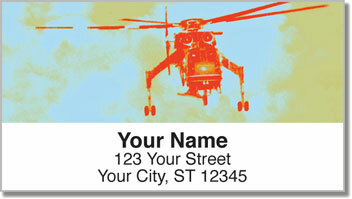 These eye-catching return address labels are an excellent example. A sky crane is basically a flying construction vehicle. They carry huge, heavy loads, fight fores fires and transport military vehicles. It's almost miraculous! This set of labels will remind you of what's possible through innovation. 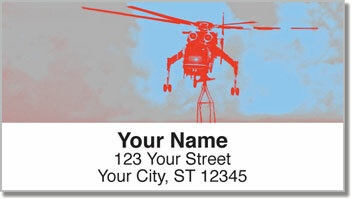 Plus, the inventive design of these labels will make your life a little easier. 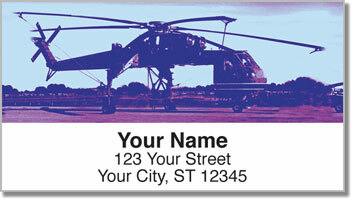 Because they are self-adhesive, you just stick them on instead of writing out your name and address on every envelope. 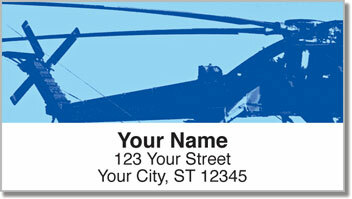 Order your own Sky Crane Helicopter Address Labels today! Take a look at the matching checks too!